Snorkel at historic Kealakekua Bay, a site known for incredibly clear water, frolicking spinner dolphins and healthy coral reefs teeming with colorful fish. The Fair Wind II has an exclusive mooring at this beautiful place, where you snorkel within sight of the Captain Cook Monument. This bay was the scene of the first Europeans landing in Hawaii in 1787. Captain Cook died here a few months later at the hands of hostile natives during an unfortunate skirmish over a dinghy. The Hula Kai is the Kona Coast’s newest, most technologically advanced snorkel vessel. This boat uses hydrofoil technology for improved stability and speed, and allows them to access more remote destinations including sea caves and lava flows that are less than 50 years old. The Hula Kai is designed and built specifically for the ultimate snorkel and dive adventure. Captain Zodiac is the original Big Island rafting expedition. With their pirate theme and desire to entertain visitors, they have been “pillaging and plundering” the Kailua-Kona coastline for over 35 years and they have been having a blast doing it! Captain Zodiac operates a fleet of 16 passenger Hurricane 733′s … they are fast, powerful, highly maneuverable and very safe. Enjoy ocean indulgence as you visit a remote snorkel destination along the Kohala Coast. This is your chance to explore the pristine reefs and sea life that abounds near the black sand beaches created by ancient lava flows. These tours depart from Anaeho’omalu Bay (locals call it A-bay), located on the ocean side of the Waikoloa Marriott Resort. They are operated on Sea Smoke (a 58′ sailing catamaran), the Alala (a 65′ sailing catamaran), and the Spirit of Aloha (a 54′ sailing catamaran). Snorkel gear, instructions and informative tips are included as you swim among colorful reefs, exotic tropical fish and Hawaiian green sea turtles. Join the crew of the Uhane Nui O Nai’a (Great Spirit of the Dolphin) for an unforgettable morning along the Kona Coast. Hawaiian Spinner Dolphins are year round residents here. Sunlight on the water offers you the opportunity to have an experience that you will easily remember for the rest of your life – swimming with dolphins… wild and free in their natural habitat. 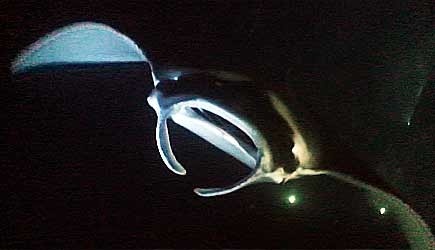 The Manta Ray Night Snorkel is out of this world! Visitors to the Kona Coast of the Big Island have an opportunity to participate in one of the most unique ocean adventures in the world! Manta rays frequent the warm waters of the rocky volcanic coastline in search of plankton, their primary food source. With their giant mouths constantly open, they glide through the water and filter these tiny creatures. There is one particular spot close to the Kona airport where manta rays congregate in the early evening, and after dark they are attracted to lights that are placed on the bottom of the ocean in about 30 feet of water. These lights attract clouds of tiny plankton and the plankton attracts the mantas. These giant rays gracefully glide, twirl, and do somersaults to swoop up the tiny little food particles, sometimes within a foot or so of the snorkelers! You too can witness these spectacular ocean creatures in their magical underwater ballet in an event you’ll never forget! Hawaii Oceanic offers private and semi-private snorkeling and ocean adventure activities aboard their 30 foot power catamaran “Pueo Kai.” With a maximum of 6 passengers, these tours are uncrowded and guarantee personal attention from the friendly crew while you are out on the water. Specific destinations and ocean activities can be tailored to fit your group. 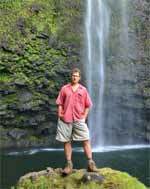 They even provide complimentary photos of your adventure along the Kona Coast. All day time Big Island snorkeling trips are available for cruise ship passengers. The Manta Ray tour is not available unless your cruise ship is on a rare itinerary that spends the night in Kona. My wife and I snorkel a lot … and it takes a lot to impress us. We own our own sailing catamaran, so we are used to going to places that aren’t crowded and where the snorkeling is excellent. Whenever we go out on snorkel tours on the Big Island we are treated to conditions that we are able to find on our own boat – great reefs and uncrowded snorkeling. The Fair Wind and the Hula Kai are both excellent trips. 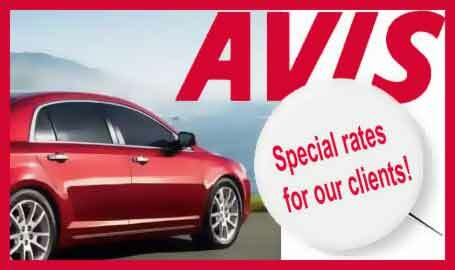 We review each boat in detail on their respective pages on this website. Our purpose for presenting this page is to show you the best snorkel options for comparison sake. If you have never been to the Big Island before, I would say that my first choice would be to go out on the Fair Wind, so you can snorkel beautiful Kealakekua Bay. If you’ve been there and done that before, then a trip on the Hula Kai is a must! You’ll see far more of the Kona Coast than you ever imagined! If you are a cruise ship passenger and your boat arrives in port at 7am, you have ample time to make the check-in for the Hula Kai and this is the tour that we recommend for you. The Fair Wind can be done, but the timing is tight. If you order the Fair Wind and you don’t get there in time and miss the boat, they will charge your credit card in full for a no-show. Don’t underestimate the time it takes to wait for a tender in Kona and make it to shore! The Hula Kai check-in is 30 minutes later and is a much safer bet! 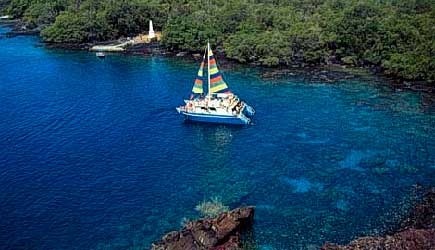 For our clients staying in the Waikoloa area, including the Hilton, Marriott, Fairmont Orchid, Hapuna Prince, etc, the Waikoloa Snorkel Sail is an excellent choice. Since this tour departs from the Waikoloa area it saves you the drive all the way into Kona town and it will take you to snorkel destinations that are difficult to access from shore.